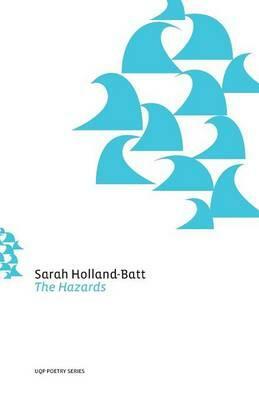 Spanning poems written in the United States, Central America, Europe and Australia, The Hazards is a dazzling and inventive new collection from award-winning poet Sarah Holland-Batt. Opening with a vision of a leveret’s agonizing death by Myxomatosis and closing with a lover disappearing into dangerous waters, Holland-Batt reflects a predatory world rife with hazards both real and imagined. Her cosmopolitan poems careen through diverse geographical territory – from haunted post-colonial landscapes in Australia to brutal animal hierarchies in the cloud forests of Nicaragua, the still Danish interiors of Hammershoi and the serial killer stalking Long Island Sound – and engage everywhere with questions of violence and loss, erasure and extinction. Charged with Holland-Batt’s mercurial imagination and swift lyricism, this unsettling and darkly intelligent collection inhabits an uncertain world with a questioning eye and clear mind, unafraid to veer ‘straight into turbulence’. Sarah Holland-Batt is the recipient of the WG Walker Memorial Fulbright Scholarship, Yaddo and MacDowell fellowships, and an Australia Council Literature Residency at the BR Whiting Studio in Rome, among other honours. Her first book, Aria (UQP, 2008), won a number of literary awards. She holds a Master of Fine Arts from New York University, and First Class Honours in Literature and a Master of Philosophy in English from the University of Queensland. She is presently a Senior Lecturer in Creative Writing at the Queensland University of Technology. The Hazards is her second collection of poetry.